﻿ How to choose the 40G QSFP + optical module in the multimode connection applications? 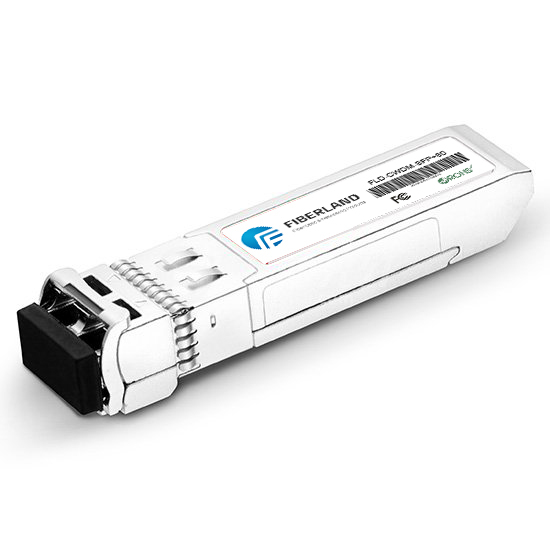 Nowadays, with the rapid development of science and technology and the continuous improvement of user's needs, 40G applications in the communications industry are becoming more and more widely, at the same time, servers, switches, optical modules and other devices are also upgrading, the solutions for multi-mode application QSFP + Optical module are also more and more. Choosing the right 40G QSFP + optical module in a multimode connection application not only provides high performance, but also saves money. This article will explore how to choose a 40G QSFP + optical module for multimode connection applications. The maximum transmission distance of different QSFP + optical modules is different. In general, the 40GBASE-SR4 QSFP + optical module can support OM3 multimode fiber up to 100 meters of transmission and OM4 multimode fiber up to 150 meters of transmission. In other words, if the expected transmission distance of the project is less than 150 meters, you can choose to use the 40GBASE-SR4 QSFP + optical module with the OM4 cable; if the project has a longer distance requirements, support OM4 multimode fiber up to 400 meters 40GBASE-CSR4 will be a better choice. The 40GBASE-SR4 QSFP + optical module and the 40GBASE-CSR4 QSFP + optical module are both MTP interfaces, using with MTP / MPO fiber jumpers, but with different transmission distances. The 40GBASE-SR BiDi QSFP + optical module uses a duplex LC interface, using with LC multimode fiber jumpers. In general, optical modules for 40GbE networks use parallel technology, which uses multiple 10Gbps lasers simultaneously to transmit on multiple fiber bundles to achieve high data rates (4 x 10Gbps). Therefore, 40G optics use MPO or MTP cabling , Instead of the traditional duplex LC cabling, 40GBASE-SR4 and 40GBASE-CSR4, these two 40G multimode QSFP + optical modules with MPO / MTP interface are suitable. However, if the 40GbE network is deployed on an existing 10GbE infrastructure, the first two 40G QSFP + optical modules are not applicable. In this case, the 40G BiDi QSFP + optical module is suitable for it, which can support up to 150 meters of OM4 multimode duplex LC cabling. In addition to the three factors of transmission distance, interface type and routing scheme, other factors such as compatibility, receiver sensitivity and temperature are also important. Before selecting the 40G QSFP + optical module, the user should have an appropriate solution and take full account of the various aspects of selecting the most suitable 40G QSFP + optical module. 40G QSFP + optical module is a key component of 40GbE deployment, select the appropriate 40G QSFP + optical module to help the project to reduce costs and improve efficiency.